Uncover new ideas about the intricate web of factors that determine our health. We talk with a group of dedicated scientists, psychologists, bioenergetic researchers and holistic practitioners who are finding healing potential in new places ... and energetic information-based medicine looks particularly powerful. Tapping into the power of information, leaders in science are examining the body through the lens of quantum physics. They've discovered that we're far more than biochemical machines. Instead, our cells are senders and receivers of information, controlling our health in ways we never imagined. 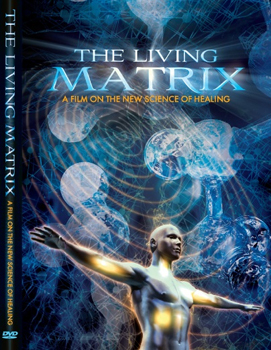 Contributors include: Lynne McTaggart, Peter Fraser, Bruce Lipton, Eric Pearl, Edgar Mitchell, James L. Oschman, Marilyn Mandala Schlitz, Rollin McCraty, Rupert Sheldrake and Dean Radin.